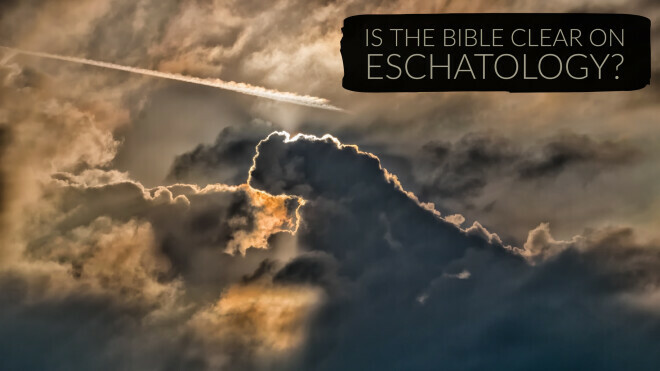 Is the Bible Clear on Eschatology? I was recently asked by a local pastor to speak to his church on the subject of the end time events, and specifically address the pre-tribulational, pre-millennial perspectives. The pastor stated that he believed and taught alternative views but felt that he must give his people “another look.” I had a wonderful evening with this pastor and his church tackling one of my favorite themes of the Scriptures! At the heart of the discussion is this question: Is the Bible clear about the end times? Or, to put it another way, has God exercised purposeful ambiguity to shroud the future events of world history?